Child day care is an essential service for many working parents. As part of this service, moms and dads expect a quality level of care and a secure environment for their children. To ensure the proper level of care is provided, certified and accredited day care businesses must meet a service standard, set by the government. One of the quality checks is “caregiver to child ratios” so that a safe supervision level is always maintained. In Alberta, the province regulates the recording of attendance to make sure that facilities meet this service level. These are records that detail the arrival and departure time(s) of each child and primary staff member. In the case of staff, attendance records must specify the number of hours spent caring for children. 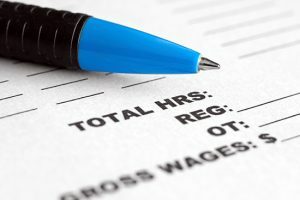 There is no prescribed format for recording or maintaining attendance record at childcare facilities, however licensing staff must be able to determine whether the program is meeting staff to child ratios and staffing requirements. Owl Time Clock client, Happy Faces Childcare started their day care facility in 2009 with one unit of a mall in Sherwood Park, Alberta. The daycare has quickly grown to operate a total of 4 units interconnected and arranged by children’s ages. Happy Face Childcare is an accredited daycare that specializes in “Educational Play with the Montessori Program”. In their infancy, Happy Faces Childcare used an electronic time clock system supplied by Owl Time Clock to track the attendance of their staff and the children. Both kids and staff used paper time cards to “clock in” and out for the day, with everyone’s time cards kept in a rack at the entrance labeled with employee and childrens’ names. This methodology met the government requirement for recording daily attendance, provided the facility with the necessary info on their childcare ratios and assisted in tracking the hours that staff worked. Yet as the company grew, Happy Faces Childcare hired more employees and cared for more children – they soon found they were outgrowing their system. The Happy Faces Childcare facility desired a more automated attendance system that would also offer additional identity security for the staff and children in their day care. The update needed to be an affordable and simple solution for staff, children and guardians alike. After careful research, Happy Faces decided upon a biometric fingerprint reader system from Owl Time Clock. 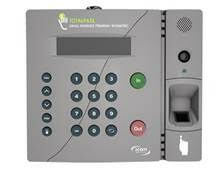 The Biometric Fingerprint unit can be used as a fingerprint reading device and/or a simple keypad PIN entry. This allowed Happy Faces Childcare the flexibility needed in their facility. Staff members can quickly and easily scan their fingerprint to clock-in and out. Similarly, older children who are in the after school care program were able to use their own fingerprint to record their entry and exit. For parents and caregivers of younger children, Happy Faces was able to offer the PIN entry feature, since the same person is not always performing the drop off and pick up. The Biometric Fingerprint unit included software for Clock in the Box – a time and attendance system with web-enabled technology for tracking and reporting attendance. With the full implementation of Owl Time Clock’s Clock in the Box in its 4 divisions, Happy Face Childcare was able to also realize savings in the time spent calculating and performing payroll for their staff, as well as the time spent recording and tracking children and parents. This new system ensures that they have a secure and foolproof way of meeting government compliance and reporting, while at the same time providing clear records of children and staff that are on the premises. In addition, the daycare saw savings on consumable costs for time clock supplies, such as time cards, ribbons and maintenance service required for the old electronic time clocks. Unlike many daycares, Happy Faces charges a flat rate per child so late fees do not apply, but a proper time keeping system means properly tracked child pickups – and more accountable revenue for the daycare industry. In fact, an automated time and attendance system can mean more than just accurate records. We’ve seen some big savings for our clients that have switched over, including reducing employee overpayment, human error factor, administrative processing time, and even buddy punching. Use our online tool to calculate your potential savings with an automated time clock system. Currently Happy Faces has over 150 staff and children using the system. They recently purchased an upgrade to enable their Clock in the Box system to accommodate up to 500 individuals. They are positioned for growth and hoping to expand into additional units in the mall. Secure identification with fingerprint technology is swiftly becoming a mainstream “norm”. With the onset of this type of ID technology in devices like the iPhone, it is no longer considered invasive for children or adults to use in their everyday lives. Interestingly, although biometric technology is prevalent in European school systems, in Canada it has taken longer for schools and daycares to adopt this identification software. As this type of technology becomes increasingly affordable, we expect to see biometric ID systems used to safely record children and young adults in schools as well.